The skies were again cloudy when we woke, but it didn’t matter because we knew one way or the other we would see something wonderful, even if it rained. Once again I was so grateful for the previous day of sunshine that allowed us to see the stunning landscape around Valdez and Prince William Sound. Until now, when I heard the name Valdez, the first thing that came to mind was the oil spill of the Exxon Valdez in 1989 and the horrendous contamination of Prince William Sound, some of the most pristine waters in the world. What I didn’t know about Valdez was that the original town was completely destroyed in the great 9.2 earthquake in 1964. There are three great museums in Valdez, and I didn’t want to miss a chance to visit them, but with Abby looking forward to a day in her crate, Mo decided to stay home while I drove into town to see the museums before we boarded our boat at noon. I hope to write about these museums in a separate post, but for now, the road is calling and I don’t want to miss the chance to describe how it felt to cruise into Prince William Sound to Columbia Glacier. We decided on the shorter cruise more because of the time rather than the cost, because it was only $30 more to do the 9 hour cruise that also traveled to Meares Glacier. As I view this map from Google, I can see that the imagery was taken before that last major retreat of the glacier. Columbia is now in what is called a “catastrophic retreat”. The glacier waited longer than many and only began that retreat in 1980. In the last few months there has been so much ice released from the glacier that the cruise boats haven’t been able to approach as closely as we managed yesterday. According to our captain, Andrea, only about 2,000 people have approached Columbia from the water at the 1.2 mile distance we reached since 2007. A brilliant skipper, she negotiated the icebergs carefully, slipping in quietly to the glacier face. We were still more than a mile away, but the size of the glacial wall was breath taking. The front wall from the east arm to the west arm is more than 4 miles. I loved listening to Andrea talk about Columbia like a much loved family elder, respectful, but familiar and knowing. It was much the same way she spoke about the pod of orcas we found on the way out of Columbia Arm. This singular pod is now in the process of extinction. There are 8 individuals with a specific genetic signature, and this family will not mate outside their pod. The breeding females were lost in the Exxon Valdez oil spill. Orcas can live to be 80 years old, but the pod will eventually die out. Andrea has an image of A-2, the large male we saw with two of the females, tattooed on her arm. She was delighted to see him. We saw no humpbacks today, so my only humpback viewing has been from the beaches of Oregon. But we did see rafts of sea otters playing on the icebergs. I fell in love, they look like big cuddly teddy bears with the most precious faces, on a par with baby seals or a newborn horse. The fresh-faced young man working his first summer for the Stephens family told us we were lucky to have a cloudy day since the icebergs only show their bluest color in the overcast. I didn’t enhance or alter the color of any of these photos by the way, the bergs were exactly that blue. I’m so glad that the camera captured it. I enjoyed visiting with Stan Stephen’s wife, Mary Helen, who was working on the cruise. She laughingly told me that she now works for her daughter who runs the business. Here is a link to the very interesting history of the now 100% Alaskan owned and operated family business. Mary Helen also laughed when I asked if she might ever retire. She said that her sister thinks she should, but she loves sharing the unique beauty of Prince William Sound with people like us. Also, like many of us, two of her three daughters have scattered, one to Minnesota and one to Seattle. Here is a link to the captain’s log for the day of our cruise with the animals we saw and more information about each species. As I attempt to write about the trip and the glacier, words fail me. It was an experience that will stay with me always. I now add glaciers to volcanoes in my deep heart space. I finally understand why Erin and Mui travel to the cold places of the world, the Antarctic and Arctic, to see the wildest parts that are left in our planet. If you liked the iceberg photo at the beginning of this post, be sure to check out the rest of the photos linked here. I deleted a bazillion, but when looking at blue icebergs, my delete key refused to work properly. There are still many shots of icebergs, the glacier, sea otters and the breathtakingly beautiful fjords and waterfalls. Our boondock site overlooking the Chugach Mountains wasn’t as quiet as it seemed to be when we first parked. On Friday night it seems that everyone in Anchorage and the surrounding area must have decided to travel east on the Glenn Highway to the wild rivers and mountains. Falling asleep early, I was awakened repeatedly by rigs pulling into the paved turnout for views of the still light valley below. As night wore on, we were joined by other rigs very close to us, one in front, one behind, and one that even parked beside us for a time in the darkest part of the night. The view was gorgeous, but all that company wasn’t really what I expected. Waking with the brilliant sunlight we took our time, cooking a good breakfast, turning on the hot water heater for showers, and in spite of the neighbors, turning on the generator for a little extra heat. When we left around 8:30, the folks behind us were still buttoned up tight, with no sign that our reasonably quiet generator bothered them at all. The Glenn Highway east to Glennallen has a magnificent view of the three major volcanoes of the Wrangell Mountains. The one that looms highest on the horizon is Mt. Drum, but the other two flanking it on the north and south are actually higher. Mt Wrangell was a broad rounded snowfield visible through the clouds in the morning light. I am fascinated by volcanoes, and this one is still hot. There are shifts in the CO2 emissions that indicate magma may be rising. It last let off steam in 1902, but all indications are that it could erupt at any time. Wrangell actually looks like a broad shield volcano, similar to Mauna Loa, rather than a composite cone like Rainier, but theories are that the lava emerges under deep glacial ice which causes it to flow laterally and form that rounded off summit. Mt. Drum was beautiful, but Mt Wrangell looked mysterious and ethereal with only the top visible and the rest hidden. We stopped at the Hub of Alaska, partly because we knew we should gas up before going on south to Valdez at the junction of the Glenn Highway and the Richardson Highway. The other reason we stopped is thanks to a nice long phone call with my daughter Deanna while we were descending to the junction from our morning summit location. Deanna and Keith love Alaska, and she told me the Hub was a great place to stop. They always gas up their big rig there when traveling the Glenn Highway delivering engines to Anchorage. Before they started driving, the two of them traveled to Alaska on their Harleys and when Keith was still director of the museum in Wenatchee, they spent some time in Homer consulting with the museum there. It was so much fun talking with Deanna about their favorite places, places we had just traveled. Turning south on the Richardson Highway, we were traveling a path that followed the route of the Klondike gold rush miners as they rushed north. Many came to Valdez, walked across the Valdez Glacier and on to Whitehorse before building their water crafts to take them on down the Yukon to Dawson City. The history of this short lived rush and the people who traveled such wild lands for gold never ceases to amaze me. What were they thinking?? It was a lot harder than buying a lottery ticket, without much better of a chance for the big win. Only 8 miles south of the Glennallen junction on the road to Valdez, is the Information Center for the Wrangell-St Elias National Park, the biggest and one of the newest parks in the US, only established in 1980. The sun was shining, the air was clear and fresh and Mo hung out in the parking lot with Abby while I explored the center. There are viewpoints overlooking the Copper River Valley and the Wrangell Mountains. The center was all shiny ne w and fresh, and extremely well done as usual, with lovely exhibits and another one of those huge 3D maps that I love. Southward to Worthington Glacier and Thompson Pass, the road is 2 lane paved, but the frost heaves and bumps are enough that I had to put on my wrist bands. I love these little bands. In addition to keeping me from getting sea sick on a ship, they keep me safe from the car-sick bug that gets to me more on rough roads than it does on curvy roads. Jeremy did fine, though, without many disapproving looks, but Abby sat up looking forlorn for much of the rough parts. Neither one of the animals much like it when the road gets rough. Thirty miles north of Valdez lies the lovely Worthington Glacier, with a state park, a tiny visitor center, trails to the glacier and no fees! We stopped in for a break and another chance to hike to a glacier, this time with the opportunity to actually get close and touch it. The large paved and signed trail from the parking lot led to an overlook, but then you were pretty much on your own to figure out which primitive trail you wanted to follow to get up close. We first started up the east side, since we could see tiny people actually hiking on the glacier. As we got closer, however, we decided that we would rather be on the west side of the glacier where all the blue ice shone in the sunlight. Mo went ahead scouting the trail while I came along behind carrying the camera. It’s a bit scary to be on rough, slippery ground carrying an expensive camera, and I tottered along with my walking stick like an old lady. Ah well, maybe I would have tottered without the camera, who knows. I hate slippery loose rock, one of the reasons I so love hiking in Utah on slickrock, which isn’t slick at all. Our efforts were rewarded with another up close encounter with a glacier, slipping inside the crevasse at the toe to capture that magical blue light. The hike back down was much easier, mostly because we had a clue where to go this time, and when we got back to the rig Abby and Jeremy were doing fine. It seems that more and more Abby is getting a little bit more comfortable when we leave her in the rig, but it still can be a worry if she barks in a populated place. Once again on the road, we reached the summit at Thompson Pass and thanked the weather gods for another gorgeous sunlit day with just enough clouds to keep it interesting. The road dropped suddenly down to the river and the deep gorge of Keystone Canyon stretched west to Valdez. The mountains rise vertically in all directions, lit up with glaciers and snow, their shifting shades of green turning to grays and browns and timberline. All along the canyon waterfalls pour down the steep sides to the river, and we stopped to take photos of two of the named falls, Bridalveil and Horsetail Falls. Valdez is another placed dubbed “The Switzerland of America”, but here it must be true. As I walked around the falls and breathed the crystalline air, I realized that for several weeks now I haven’t seen smoke on the horizon or brown air over a city. I have breathed clean, pure air for so long I almost forgot how much it means to me. A few days ago, at the Portage Glacier, I looked at the map of Prince William Sound and thought that I really wanted a chance to see some of those pristine waters, to see the wild tidal glaciers calving into the sound. As we approached Valdez, I said out loud that maybe this was the place to do it. Mo agreed, and we drove directly to the Three Bears RV Park where we were lucky enough to snag tickets for tomorrow’s noon cruise with Stan Stephen’s Glacier Cruises. With that important detail handled, I asked about Copper River Salmon, and was pointed to Peter Pan’s Seafood right across the small boat harbor. They actually had no fresh Copper River, but the young woman told me that Prince William Sound sockeye was better anyway and had just come in that day. The halibut was the other catch of the day, but I really had my heart set on some of that wonderful salmon. I wait for every year when it has a three week run at Freddy’s in Klamath Falls. I bought a beautiful filet and a package of cedar planks and we were set. Even though there are several RV campgrounds right in Valdez, we really weren’t ready for a full hookup full price kind of night and Mo wanted to go back out of town to check out the Valdez Glacier Campground. 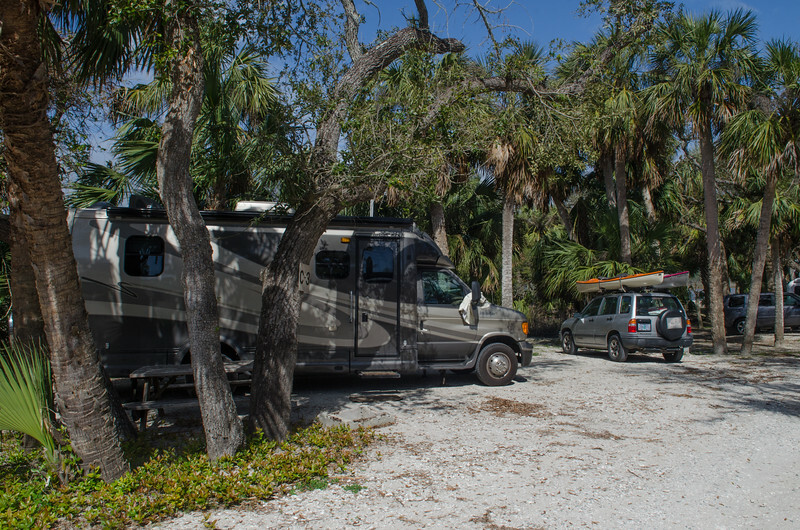 We pulled in to the private, treed site and when Mo walked back to the pay station, she discovered it was a military campground and we got our dry camp site for only $10 with her discount. There is a dump station and potable water as well, and best of all we weren’t too close to anyone nearby. This was especially important, since we called around and could find no kennels with an opening for Abby, and she would have to wait in the rig while we did our seven hour cruise. I pulled out the Weber to cook that beautiful salmon, and for the first time on the trip, we had a real problem with a few mosquitoes and a lot of tiny little black flies. Mo brought out her citronella coils, I brought out the propane bug repeller, and the cedar plank contributed a lot of smoke to the scene as well. By the time the salmon was done, it was bug free enough that we enjoyed our meal outside at the picnic table. That was without a doubt the best salmon I have ever eaten, and the whole meal was probably a lot better than anything we would have found in a restaurant. After supper I decided to take our garbage, especially that fishy plank, to the bear proof container down the road while Mo enjoyed the after dinner quiet. While she sat there at the table, she was surprised by a black bear who must have thought that the salmon smelled great. When he saw Mo, however, he turned and disappeared back into the brush. Of course, the bear shows up when I am gone and the camera is tucked away in the MoHo! Later we went for a walk around the campground exploring, but saw no more sign of Mr Bear. We did run into a couple of guys who looked quite familiar. We visited with them a long time ago back at the Teslin Overlook in Yukon, and shared stories of our travels since then. They had a pickup and camper, and had done the Dalton Highway to the Arctic Circle. He said the road wasn’t bad at all, nothing like the scare stories going around about it. Home to read and fall asleep thinking about our exciting trip to come the next day, Prince William Sound and the Columbia Glacier! I tried hard to keep my expectations in check before we left on this journey. I didn’t want to be disappointed and was afraid that maybe the reality might not live up to the hype. I expected a bit of what Mo has experienced; some disappointment that much of the wildness has been tamed. What has happened in the last few days, however, is a growing appreciation of this beautiful state with all its diversity and magnificence. The hype IS the reality, and at last I have accepted that even with the smoothed highways, the many RV’s plying the roads, the lack of the “Big Five” game animals around every corner, Alaska is still a magnificent place. While it may not be an epic journey, I think it may fit the billing as “The Last Great Road Trip”. Today on an interpretive sign for the Chugach country I saw a quote: “There is one word of advice and caution to be given to those intending to visit Alaska…If you are old, go by all means. But if you are young, wait. the scenery of Alaska is much grander than anything of is kind in the world, and it is not wise to dull one’s capacity for enjoyment by seeing the finest first” Written by Henry Gannet, Harriman Alaskan Expedition, 1899. I guess that said it all more than 100 years ago, and I think it’s still true. This morning we found the free dump at the park and left town by 9:30. With 300 miles planned for today, it wasn’t fair for me to keep procrastinating. On this journey, I have had a very few places that made me really really want to stay longer and Seward was one of those places. I could hang out in this town, exploring the trails, wandering the charming streets, finding the hidden nooks and crannies, exploring the museums and searching out the beautiful murals tucked away here and there. I could sit in the campground along the water watching the cruise ships come and go, and spend some time finding the small lagoons and bays on a quiet windless afternoon in my kayak. I was hooked by Seward and would love to spend more time there. Instead we are traveling the return route to Anchorage, with an entirely different perspective, and some great memories of our time on the Kenai Peninsula. As we traveled again through Turnagain Pass and down to Turnagain Arm, we had enough sunshine and cloud free skies to see the snow and glacier covered mountains across Cook Inlet. The Arm was wild today, with its heavy load of silt, even in the sun it looked dark and spooky only today the tide was coming in and the winds were blowing up whitecaps on the dark murky water. I was surprised that it really didn’t look as lovely in the sunlight as it did shrouded in cloudy mystery. After a couple of attempts to pull into the turnouts in heavy traffic we just gave up and were happy for the photos from our previous day of traveling this route. Gasoline at the small station on the arm was 2c less than in Anchorage, so we filled up again to be ready for the jaunt to Glennallen. Traffic in Anchorage was thick, but we made it through town quickly enough and were soon on the Glenn Highway exit toward Palmer. I once looked into a survey job available in Palmer and considered going there so I was interested in seeing it, as well at the lush agricultural MatSu Valley surrounding the area. The valley is named for the two mighty rivers that intersect and form it, the Matanuska and the Susitna Rivers. An interesting story about the MatSu Valley tells about the US government offering free land to immigrants to help develop the agricultural resources of the rich valley. More than two hundred families were hand chosen from Minnesota, Wisconsin, and Michigan, assuming those hardy folk could handle the rigors of farm life in the cold climate. Many failed, but several remained and their descendants populate the valley to this day. Once again, Mo and I managed to hit a very small town during some kind of very busy festival and decided that we needed to just get through rather than taking the time to fight the crowds and traffic. Palmer was small and in a lovely setting, but certainly didn’t have the ability to capture my heart the way Seward did. We then drove east along the Matanuska River, a wild, wild, braided river fed by the Matanuska Glacier to the east. The road was initially just fine, but after milepost 60 or so, things started to change and I was a bit white knuckled as Mo negotiated the tight curves and narrow road while I looked down over the very steep, no shoulder drop offs to the river far below. We originally thought to make it over 300 miles to Glennallen for the night, but also really wanted to boondock. By the time Mo finished negotiating the curves and construction on that stretch of the highway, she was ready to call it a day. We started looking for a boondock site around mile 80, but it just so happened that the construction started about there as well and all the pullouts were filled with equipment. Finally, at mile 118.8, we found the site written up in the Milepost and even though the construction was still evident, we decided to stop. It is a beautiful site overlooking the river valley and we stopped just in time for the rain to start in earnest. Tomorrow the plan is to drive all the way to Valdez, but with our Jell-O plans, who knows exactly where we might land. Our waste tanks are empty, our water tank is more than half full, we have a new battery and anything else we might need. Of course, we don’t have internet, but even in this crazy wild place I have a cell phone connection. I also have a good book to finish on my kindle which is now fully charged after our last night in an electric site so I am ready to go. The traffic is now almost non existent, with an occasional rig pulling into the turnout for the view, but that should stop once it is dark. Sunset now is around 10:30 and the darkness, while not total, is still plenty dark enough to sleep comfortably. Another perfect night out. I love these sites with views that go forever out my window, and nope, not a telephone pole or a power line to be seen. I guess that is my personal test of the wild. Road condition: still excellent Alaska highways to Palmer, and then some very scary, narrow winding miles on the Glenn Highway near the Matanuska River. No shoulders, steep drop offs. Can you imagine a more perfect morning wakeup call than the wild cry of an eagle, especially when he lands right in front of your window on the beach? We woke up to incredibly beautiful clear skies this morning with sun pouring in the back windows of the MoHo and illuminating the beach in front of us at low tide once more. This eagle was searching for breakfast, and as I tried to get a bit close for photos he flew off with his friend to see what else was lying around after the tide receded. I could enjoy staying on this beach for awhile, just enjoying the views and the lovely water, but the road calls and we will be heading back north today toward Seward. Our plans included a stop at our favorite Fred Meyer store back in Soldotna, a free dump there, and a nice fill-up with our gas discount which was still .20c per gallon! Pretty nice, especially when the store had the lowest price gas around without the discount at 4.17 per gallon. We also filled up the Tracker and bought a bit of chardonnay to last the rest of the way before we enter the land of no wine in Canada in a few days. Our trip from Homer to Soldotna was gorgeous, with the volcanoes in full view and the gorgeous sunlight illuminating every turn in the road. The Kenai Peninsula is truly a magical place, a definite destination to enjoy for more time than we had to spend. The line at the free dump station was much too long to spend waiting on this gorgeous sunny day, so we just decided to wing it and keep going to the next stop where we decided maybe it was time for some hookups. We continued east along the Sterling Highway to the junction with the Seward Highway with a perfect stop for chips and that wonderful salsa I bought yesterday while looking out over the magnificent mountains. Wow. On the entire trip today, I spent the whole time in awe, taking deep breaths as I watched the wild Kenai River open up into huge Kenai Lake and the mountains rising all around me, jagged spires reaching to the heavens spiked with ice and snow and metamorphic rock so shiny it glistened like mirrors. As we approached Seward it just got better and better, with the turquoise fjord of Resurrection Bay stretching south toward Prince William Sound. There is nothing at all tacky about Seward, at least not on this sunny day. We found the city campground with a spot with electric and water for 30 bucks. It’s a good thing we get in as early as we do, because after we parked the campground filled up fast with folks jockeying for slots here by the beautiful water. The old town is on a slight hill behind us, and there is a beautiful walkway all along the water that enticed us to spontaneously just start walking, no map, no visitor center instructions, just walking. We found the lovely town center of Seward, with its charming shops, murals, and incredible vistas. The park is perfect, and was originally created to welcome President Harding when the mayor attempted to convince him that his town should get the coveted name of Seward. It worked, and Seward is still important as the major port city for much of Alaska as it remains ice free all year. I felt the push of time because I wanted to be everywhere and do everything in the gorgeous remaining hours of sunlight. The Exit Glacier hike was high on my list of priorities, so our little wish for some kayaking in the bay gave way to the drive north to the Kenai Fjords National Park and the small but beautiful little glacier that descends from the biggest ice field wholly contained within the United States, the Harding Ice Field. There were many folks walking the excellent but tame trail to the side of the glacier, with view of the dramatic outwash plain and wild water rushing from glacier melt. The most impressive signs were simple: 1917, on a brown sign along the trail, indicating where the glacier was that year. The visitor center has impressive displays documenting the glacier as it recedes into the warming climate and another favorite 3D map of the Harding Ice Field. I know we will probably see more glaciers as we continue home, but this was truly beautiful and the sun was in just the right position to capture that magical glacial blue of the ice. I loved it, in spite of the black flies that accompanied us on the short but lovely 2 mile round trip hike. I took some photos of rouche mountonees, a glacial landform that we have in very minor abundance in Klamath County in the glaciated mountains, but this was a prime example that I have to take home to my boss Chris back home. I laughed as I remember our discussions of this particular landform as we worked on the soil survey geomorphic terms. This spot was one of the best up close laboratories of glacial landscapes that I have had the pleasure to see so far. Home to our slot in the park, I made a great quesadilla to carry the rest of the salsa, and really wished I had bought another pint! We watched folks come in and try to find a place to park for many hours into the evening before Mo gave up and went to bed while I worked on finally catching up on my writing with the pleasure of full electric power. Writing takes a long time, especially as I attempt to manage my excessive photo habit, and it’s nice to not have to worry about the inverter, or the generator, or running out of computer battery power. In all my excitement about the beauty of the day, I almost forgot that we were having battery problems, and for the last few days we had to start the MoHo with the auxiliary power of the house batteries. We also were having a bit of a problem with the charge staying high enough for a decent length of time. Finally when the MoHo refused to start in Homer Mo decided it was time to get a new battery. We stopped again at Johnson’s Tire in Soldotna where a great guy named Mike checked things out and sent us over to an auto parts store, warning us that the batteries there at Johnson would be way to highly priced. After getting the new battery, we went back to Mike and he put in it no charge. Of course Mo slipped him some cash, what a nice guy! Now there is no more hesitation when we start up the rig. The battery was five years old so it was time for a new one. It was an absolutely perfect day. I am now in a little espresso joint called Sea Dog Café in Seward, uploading photos and one more time catching up on my “job”. Of course, the minute I walk out the door I will start getting behind once more, and that makes me laugh inside. I told Mo I really have to figure out how to write while she is driving, but she wondered how I would manage to take photos and navigate while writing! Sometimes when things are happening it is easy to write it, and then later I have to go back and look up names and such and it’s such a pain, so I am going to try to document as we go. Laurie, stop laughing at my documentation obsession, right now!! Day 4 July 9 Into the British Columbia desert! North to Alaska! we are off! !